The Best Products & Installation... Guaranteed! Your home’s curb appeal matters. Even if you don’t plan to sell your home in the near future, there’s something immensely satisfying about taking pride in your home’s appearance. In today’s post, we’ll explore four different ways in which you might be compromising your home’s curb appeal before providing you with easy solutions. When you’ve finished reading today’s entry, get in touch with Blue Springs Siding and Windows to learn more about our services. Whether you need a window installation, siding replacement, or another one of our home improvement services, we’re always ready to help! Are You Compromising Your Home’s Curb Appeal? Is your home’s siding cracked, chipped, or beginning to bubble? 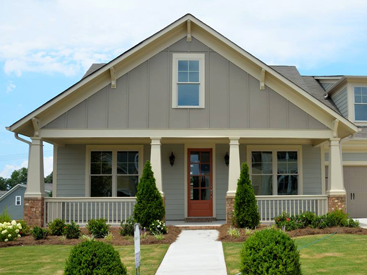 These are all signs that your siding is damaged, and in addition to reducing your home’s energy efficiency, damaged siding also puts your home at risk of water damage. Moreover, damaged siding can make your home look dilapidated and uncared for, even if the interior is amazing! We provide siding installations in Kansas City and the surrounding areas, so give us a call if your siding needs to be updated! Windows can make or break your home’s curb appeal. 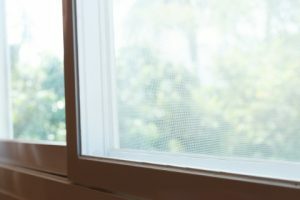 While your neighbors and passersby may not always actively notice your windows when they’re looking good, they almost certainly will if they’re beginning to show signs of aging and disrepair. Cloudy glass, cracks, and damaged frames will all detract from your home’s curb appeal, so speak with our window installation experts if you’re ready for a change. 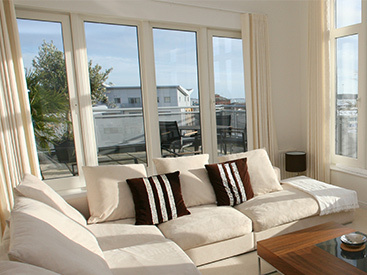 We can help you find replacement windows that closely match your current models, or we can help you select something new that revitalizes your home’s appearance! The front door often serves as your home’s focal point, making it important to have one that draws attention for the right reasons. 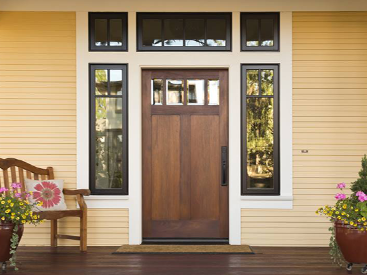 If your front door’s paint is chipped, faded, or no longer satisfies your aesthetic preferences, then come by the Blue Springs Siding and Windows showroom to learn more about our affordable entry door installations. We supply some of the best entry doors on the market at unbelievably low prices, and we guarantee all of our products and installation services for life! Most people believe that curb appeal only matters during the day, but it’s also highly important at night. The right lighting can make your home look warm and inviting, and it can also help you keep your visitors safe as they walk up to your home. Place accent lights along the path leading up to your entry door to ensure that your guests can see where they’re walking, and be sure that your home’s address is well-lit and visible from the street. Contact Blue Springs Siding and Windows Today! 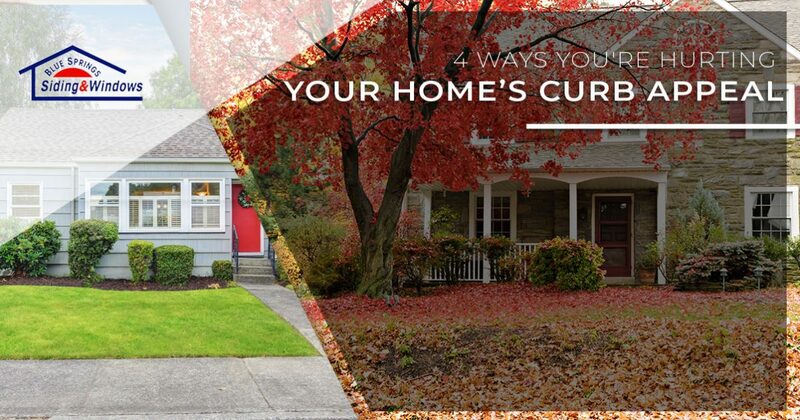 We hope that today’s post will help you improve your home’s curb appeal. Whether you need a new entry door, replacement windows, or a total siding replacement, Blue Springs Siding and Windows is here to help! Come by our showroom located at 2201 NW Jefferson Street to view our complete selection of products, or reach out to us through the form below to request an estimate. It’s Never Too Early to Invest in Gutter Guards! No matter which kind of siding you choose, it’s covered for life! How can we make a promise like that? Simple – we only install products made with the highest quality that will live up to their promises and our quality control. Getting your door replaced has never been easier. From the showroom to your updated home, we handle all the steps in between. We can help you decide which door styles, colors, and materials are right for you and your home. Offering a lifetime warranty on parts and labor, we know the products we use are the best in their class, and we know our technicians will install them properly so they last for years. Our emphasis is, and always will be, on quality. © 2018 Blue Springs Siding & Windows| All Rights Reserved.